Laddus are a popular sweet across India and is a common feature during all festivals or special occasions. 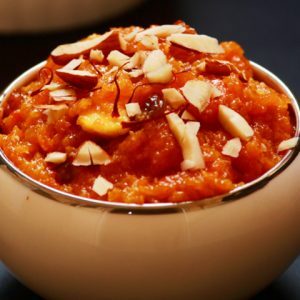 This variation is made with millet flour and is equally delicious as the regular laddus. 1. Dry roast the flour until light golden. 2. Add enough water to jaggery and place it over medium flame. 3. Stir regularly until jaggery has fully dissolved. 4. Strain to remove impurities. 5. Place it over the flame and simmer until it starts to thicken. 6. Add the flour, ghee and ginger powder. 7. Stir well and shape the mixture into laddus. 8. Store them in air-tight container. Note: Millet Flour can be made by taking equal measures of Corn, Varagu, Samai Arisi and Thinai. Dry roast and grind them to a powder. 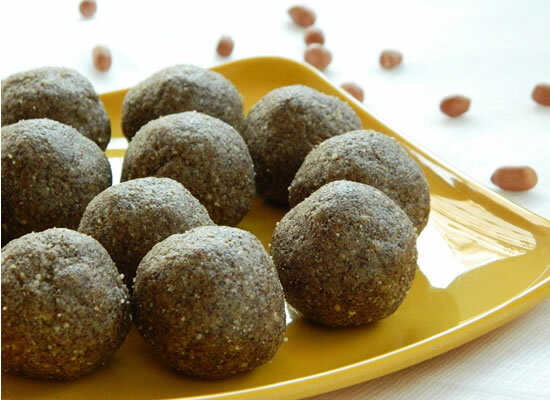 Feel free to comment or share your thoughts on this Millet Laddu Recipe from Awesome Cuisine.